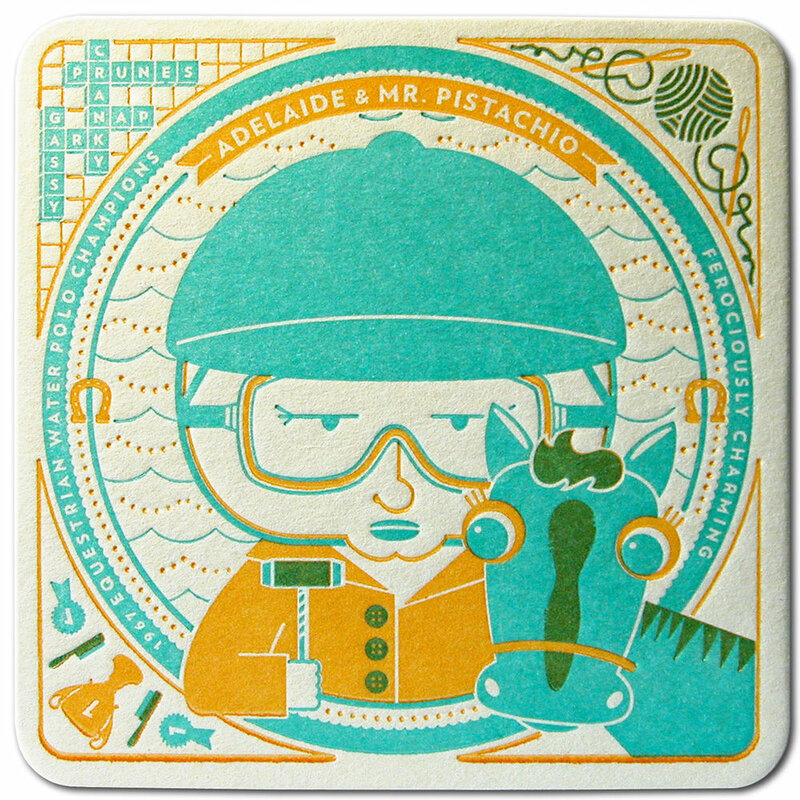 Promotional coasters to promote coaster printing. Letterpress printed drinks coasters have many uses. They make ideal advertising media and branding materials for bars, restaurants, craft breweries, nightclubs and of course the overflowing beer brands that are set on top them. They also make attractive personalized décor at corporate or social events like weddings. 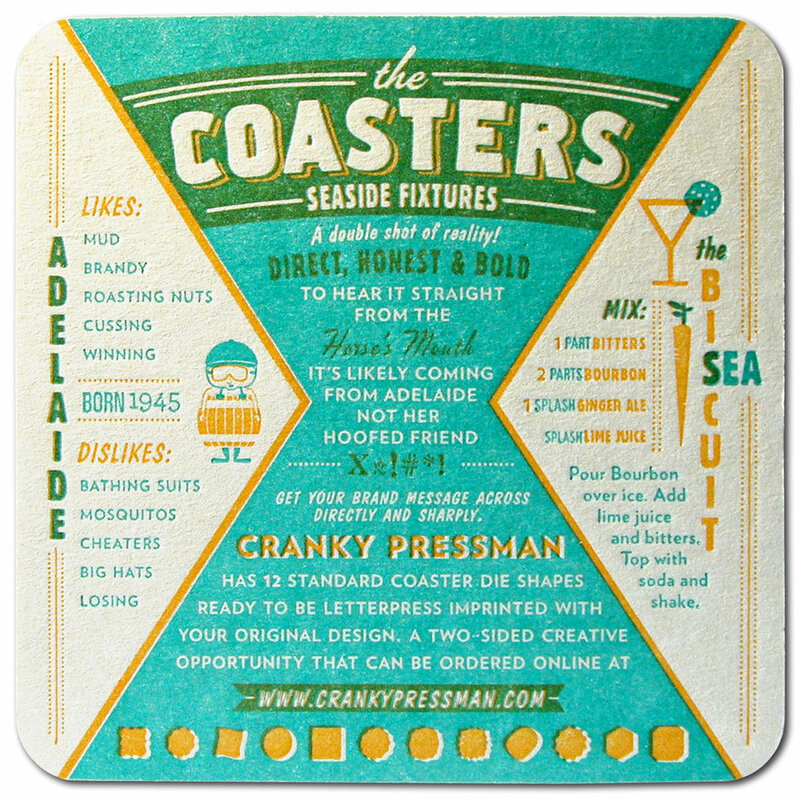 When Cranky Pressman, the perpetually perturbed printer, needed to spread the word about his custom coaster production services, we created a set of characters who hailed from The Sunshine State. 'The Coasters' are lovable old-timers whose unique personalities and beachside stories were emblazoned on, where else but coasters! Click any of the photos above to read and see the graphic details on each of the coasters. The series was done in collaboration with Ariana DiLibero, Lauren Sheldon and Meg Paradise. 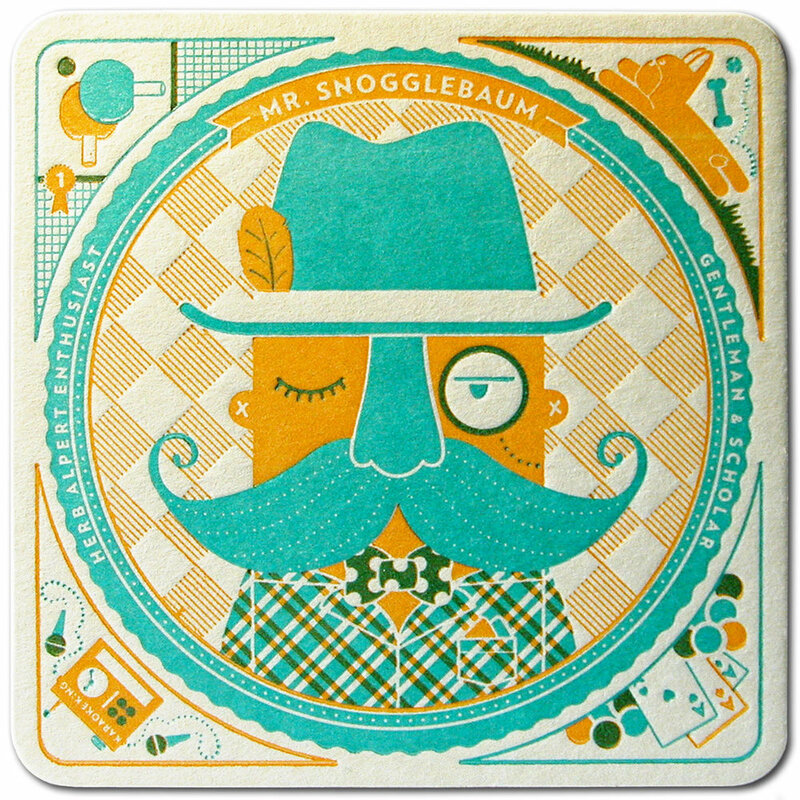 The letterpress shop saw a significant increase of custom coaster orders from this promotion. Digital photos of the print pieces have also become some of our most shared content on social media. More information on the production can be seen here on the Cranky Pressman website.